It's December and you know what that means....it's time for your son to renew his charter with BSA, so he can participate in all of our awesome activities in 2015! For all registered scouts, the dues for 2015 is $50. This includes national BSA dues, a subscription to Boy's Life Magazine, and Pack dues, which cover our events, supplies, awards, leader training, and other expenses that come with running a large pack like ours. 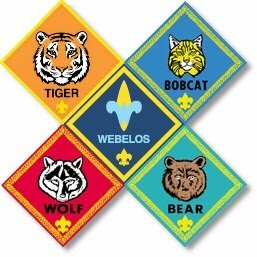 If you haven't already done so, please see your den leader or one of our pack leaders and make sure your son is all set to enjoy Cub Scouting with us in the new year!